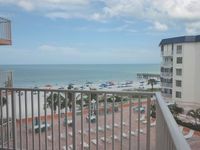 Oceanfront Condo Corner Unit - NEVER a Resort or Management Fee! Property 6: Oceanfront Condo Corner Unit - NEVER a Resort or Management Fee! Blue Heron Cottage 6 - Beachside, heated pool, a gem! Property 8: Blue Heron Cottage 6 - Beachside, heated pool, a gem! Property 10: Premium Gulf View Heated Pool & Spa FREE WiFi Great Sunsets Close to Attractions! Property 11: Quiet Waterfront 2 bed 2 bath across the street from beach! Enjoy the Sun, Fun, and Relax on Beautiful Indian Rocks Beach on the Gulf! Property 13: Enjoy the Sun, Fun, and Relax on Beautiful Indian Rocks Beach on the Gulf! Property 16: Two bedroom, two bath townhome with garage & water views. Trillium #5C - Beach Front Condo with private balcony! Property 18: Trillium #5C - Beach Front Condo with private balcony! Tranquil Island living! Steps to Beach, On Canal with Private Dock on property. Property 22: Tranquil Island living! Steps to Beach, On Canal with Private Dock on property. Trillium #1A - Beach Front Condo with private balcony! Property 25: Trillium #1A - Beach Front Condo with private balcony! Property 26: PICTURE PERFECT! Fantasic views from all 3 balconies!! Property 31: Tropical Waterfront Florida Pool Home With Dock-Bring your boat!!! Property 35: Beautiful Beachfront Views with Free Use of Bicycles and Free Wifi!! Property 36: WATERFRONT • Kayaks included • Located in Homosassa, MANATEE CAPITAL of FLORIDA! Property 38: Cozy St Pete cottage steps from Beach and intercoastal. Property 43: New!! Gorgeous SW Cape Coral Gulf Access Home! Boat Lift & Dock, Heated Pool, Free Parking & WiFi! Property 49: Absolutely Outstanding Beachfront Studio. Fabulous Decoration and an Amazing View. All the waterfront vacation rentals in Florida Gulf Coast. The location was exactly what I was looking for. The complex was clean, safe, and comfortable. Parking was convenient. The condo itself was spacious, nicely decorated, and very comfortable. They had beach chairs available in the unit, which was a bonus we didn't discover until we bought own own, haha! The pool area was quite large and easily accessible. I highly recommend this unit, in this complex. Super easy to get to Clearwater, Tampa, St. Pete's, and everywhere in between.